NIA CHARLESTOWN NEVIS (APRIL 07, 2016) — Premier of Nevis Hon. Vance Amory urged members of the Diplomatic and Consular Corps to use their diplomacy to find solutions to challenges faced by small developing states like St. Kitts and Nevis and other Caribbean islands that would prevent them from becoming neglected and relegated to being countries which are unable to look after their people. Mr. Amory made the comment when he gave welcoming remarks to a group of 40 diplomats during a one-day visit to Nevis on April 06, 2016. 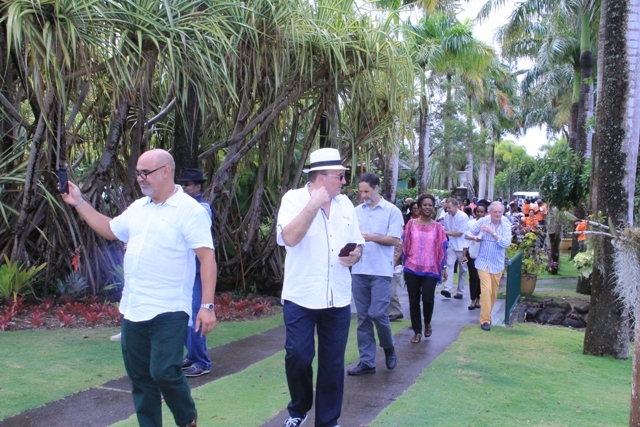 The visit to Nevis formed part of the Ministry of Foreign Affairs’ schedule of events for Diplomatic Week 2016. “My charge to you is through your discussions, through your guidance of your country’s foreign policy, your country’s economic policy and the partnerships, we have asked you, through the theme to forge with us and among yourselves, that you will see these challenges as opportunities for you to exercise your considerable diplomatic skills to find resolutions which will help us in the Caribbean, help St. Kitts and Nevis and countries like ourselves, to rise through the storm so that we can survive the economic storms which are facing us especially from the [Organisation for Economic Co-operation and Development] OECD countries,” he said. Mr. Amory pointed to the blacklisting of jurisdictions in the region and more recently, the near threat of correspondent banking for the business sector. He said if the latter happens it would be harmful to international trade and the survival of the islands. The matter of climate change was another area which Mr. Amory spoke on. He said the economy of St. Kitts and Nevis is dependent on tourism and the effects of climate change could be detrimental to the ecology and marine life. He expressed hope that coming out of the COP21, a Paris-based Climate Change Summit in 2015, that resolutions and solutions would be found that would help developing countries to have a real chance to survive. According to Mr. Amory, in countries like St. Kitts and Nevis, where the populations are small, the people there look for the same quality of life, health services, education, social services which afford them dignity as human beings to provide for themselves, their children and generations yet unborn. 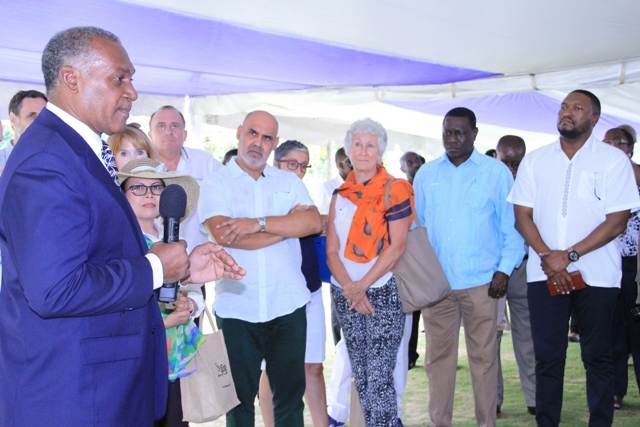 He also encouraged the visiting diplomats to recognise that if there is poverty or any disregard to human rights anywhere, that they are threats to safety and peace everywhere. The Premier used the opportunity to extend a hand of friendship to the diplomats and assured that their friendship and support is valued. However, he told them that they have an increasingly important role to play in light of the trends in the world and the tensions which are developing in the Middle East and elsewhere. 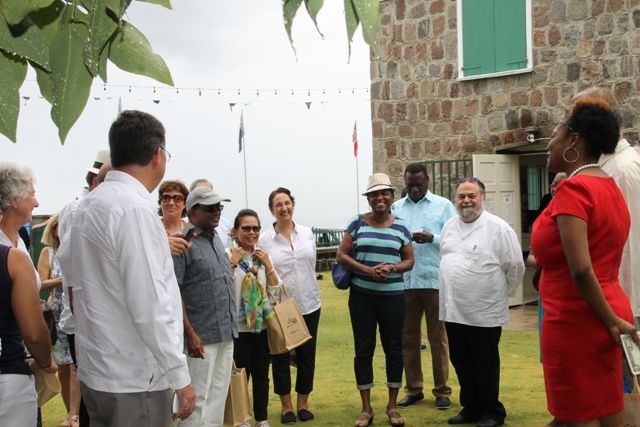 While on Nevis the diplomats who were hosted by the NIA visited the Museum of Nevis History and the Bath Stream. 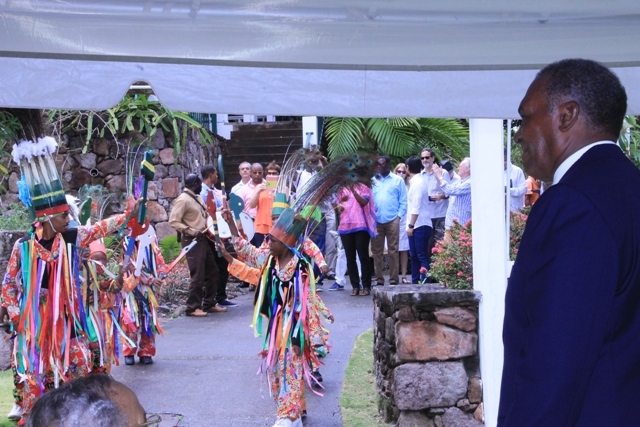 They were given a guided tour of the Botanical Gardens, dined at the Four Seasons Resort, visited the Golden Rock Plantation Inn and were treated to a cultural presentation at the Nevis Performing Arts Centre (NEPAC) before departing the island early evening via ferry.